The Opening Table (Coffee Table – Bar) is an iconic coffee table characterized by a rectangular form and a hidden dry bar, designed by Willy Rizzo in the 1970s for Cidue. The Opening Table by Willy Rizzo, 1970-75, Italy. Which are the materials of the Opening Table? 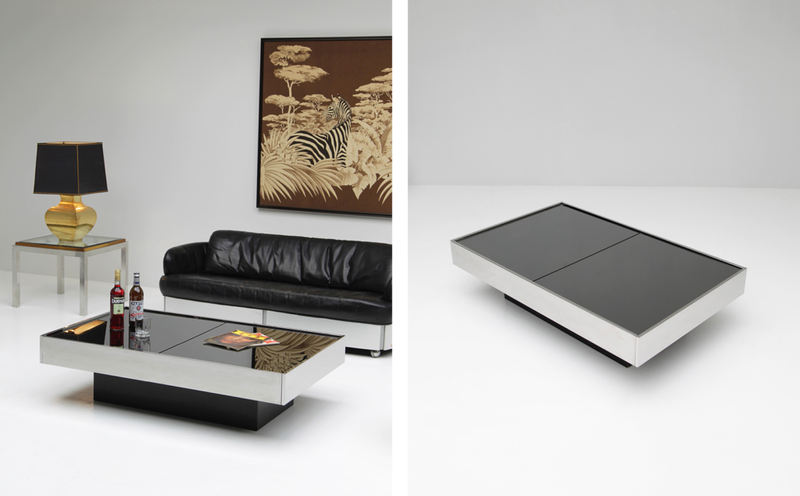 The Coffee Table by Rizzo is made of a chrome frame raised on a black wooden base and a bronze smoked glass top. Elegant and minimalistic in its design, the table presents a top surface that opens up to 212 cm to reveal a central mirror-plated bar compartment with a plexiglass bottle holder. 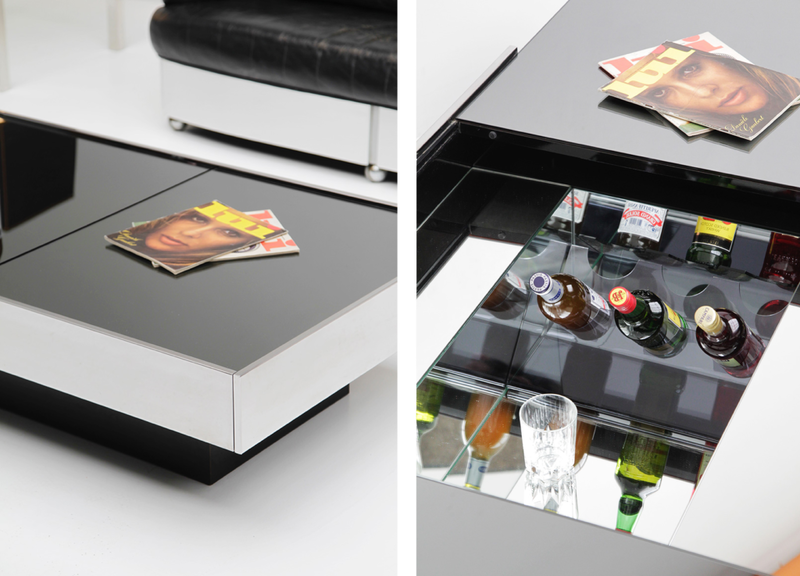 The Opening Table, details of the glass top and the mirror-plated bar compartment. The concept and construction of this table is dated back to the 1970s, when Rizzo designed the table for the Italian firm Cidue. It can be found in different versions: the Cidue edition that has a smoked glass top, but also an opaline black top version and a silver one in stainless steel. The three different versions of the Rizzo’s coffee table. Which are the Opening Table’s specifics? Weight: between 40 kg and 80 kg.